← perth day 4: mentoring on the road. perth day 5: in wide open wonder. Gracefully powering Albany – taken by Huiyi on my iPhone 4. You could never, ever, get sick of looking at the awesomeness of God’s beautiful creations – be it rock formations, waves crashing onto the coastline or just another sunset; Man could never recreate anything of this magnitude and yet God’s work takes place on a moment-by-moment basis, every single day of our lives! Is there a day that the waves would stop crashing or the sun stop setting? God is consistently faithful indeed. To wake up from an 8-hour rest always feels good; to arise to the smell of baked bacon – that’s even better; and to walk out to bright sunshine, fresh air and air-conditioned temperature – I couldn’t ask for more. How could I not relax in such amazing conditions? I already had a good feeling about today during breakfast – when Chin Seng and Ervina reminisced about their initial days in Perth and the struggles and victories they experienced, both individually and as a couple. I could relate to some of those settling-down blues as I experienced it in my first couple of months in Shanghai – those kind of days make you want to return home immediately. I volunteered to take the steering wheel for most parts of today and in Australia, a driver’s best friend is Miss GPS. Our itinerary today were within close proximity of each other. We started our day with a brief visit to the strawberry park; this open-air one felt slightly different from the enclosed one at Zhao Tun in Shanghai; of the three strawberry farms I’ve visited (the other one in Cameron Highlands), I like the Shanghai one best – simply because I could eat the strawberries as I picked it. Next up, Whale World, where we learnt about the history of the Cheynes Beach Whaling Company and how it played an integral role in the entire make-up of Albany; in short, the whaling industry made Albany. I’m relieved that these seemingly inhumane killings are now a thing of the past. Lunch served at the Whalers Galley Cafe was just as good as yesterday’s dinner; meals in Australia are costly, so I’m glad that portions are huge enough to share. The little wildlife farm at the back of Whale World (called Discovery Bay’s Walk on the Wild Side) felt like a repeat of the first wildlife farm we visited. First, to The Blowholes at Torndirrup National Park. Wikipedia does a better job at describing it – a blowhole is formed as sea caves grow landwards and upwards into vertical shafts and expose themselves towards the surface, which can result in quite spectacular blasts of water from the top of the blowhole. There was a local who literally sprawled his body across a blowhole. What he did looked cool but honestly, it was a stupid thing to do for he could have gotten blown away by the blast! Next, to The Gap and The Natural Bridge, also in the same park. No words would describe what I saw, so it may be better if you googled these two terms instead if you are keen to see what it looks like and how it was formed (since my photos are still sitting in my DSLR). We enjoyed these natural phenomenons against a backdrop of the setting sun and I must say every shot taken looked brilliant. Finally, our day reached a literal high at the Albany Wind Farms, where we saw 12 gigantic (!) high-tech, sci-fi looking wind mills. From a distance, these blades looked like they were revolving slowly, but they are actually rotating at a speed of nearly 200 km/h! 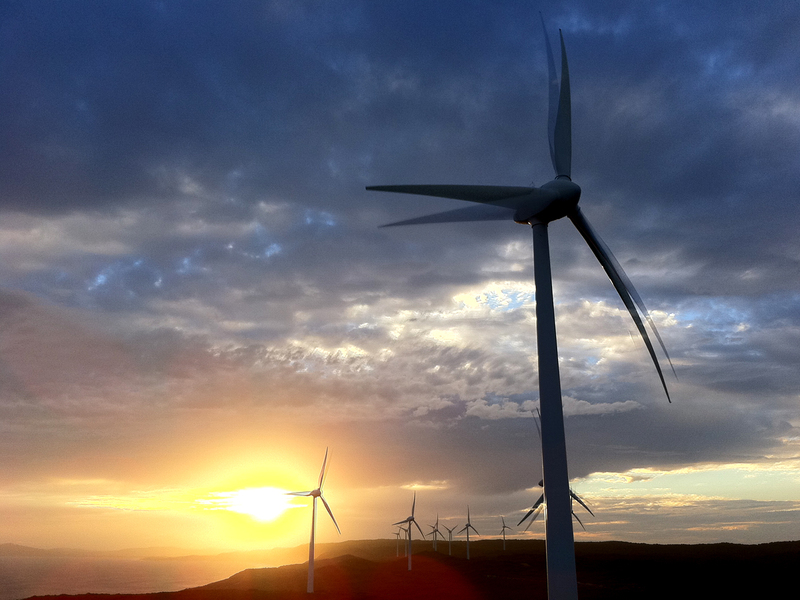 We also learnt that wind power accounts for 80% of Albany’s power supply; I can understand why after seeing these giants in action in front of a dramatic purple-hue sunset. That more than sums up Good Friday… The girls are preparing a sumptuous dinner as I write this entry… Oh man, I can’t wait to sink my teeth into beef steaks, pork chops and potato salad over D&M dialogues… It’s going to be a great evening! Posted on April 23, 2011, in Extraordinary Mundane, Picture Perfect, Simple Pleasures and tagged Albany, Albany Wind Farm, Australia, Aw Chin Seng, Cameron Highlands, Cheynes Beach Whaling Company, Discovery Bay, Ervina Ng, Lee Huiyi, Shanghai, The Blowholes, The Gap, The Natural Bridge, Torndirrup National Park, Walk on the Wild Side, Whale World, Whalers Galley Cafe, Zhao Tun Strawberry Farm. Bookmark the permalink. 3 Comments. Why does the itinerary look so familiar… somehow it didn’t smell the same. don’t remember bacon..
awesome.. ain’t it crazy it’s already the 5th day! you should visit. (: go with rachoo in july?